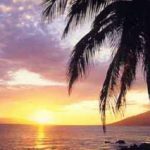 The Sunny South Shore/Wailea and Kihei area, where you can Explore Spectacular Beaches Featuring “big beach,” and enjoy liquid sunshine throughout your stay. Enjoy your stay at Kihei’s Family-oriented vacation. Welcome to Maui…as the locals say “Maui No Ka Oi” or Maui is the best. Call to reserve your Maui condo rental today (808) 826-9056. View our Sample Brochures below….Aloha!